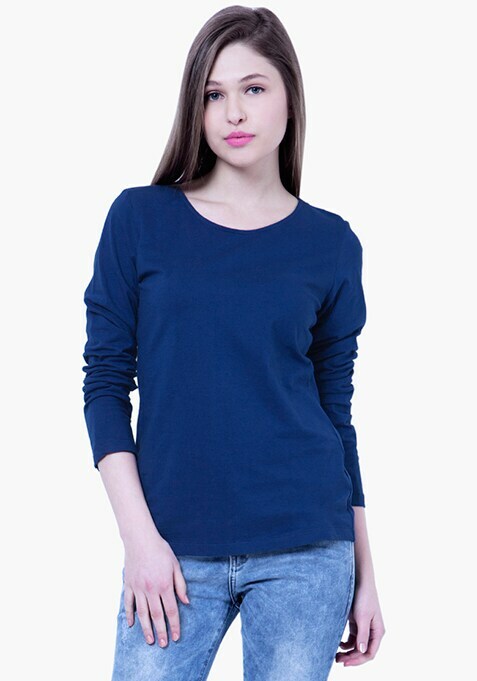 In a relaxed fit, soft jersey fabric, this top features a bright blue shade with long sleeves and a round neck. Perfect for relaxed, everyday dressing with a feminine twist. Work It – Looks uber cool with denim shorts and skater shoes.